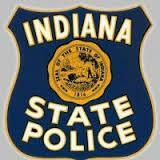 During the last 13 hours, troopers at Evansville arrested four impaired drivers in Gibson and Pike Counties. Three impaired drivers were arrested on I-69 and two of the drivers were under the influence of marijuana. According to the National Highway Traffic Administration, approximately one-third of all traffic crash fatalities in the United States involve drunk drivers. On average over the 10-year period from 2006-2016, more than 10,000 people died every year in drunk-driving crashes. The Indiana state Police are committed to traffic safety and will continue to aggressively patrol to apprehend impaired drivers and to deter others from drinking and driving. Gibson County – Friday afternoon, February 8, at approximately 4:00, Trooper Tyler Widner responded to a vehicle crash with injury on I-69 at the 22mm. Further investigation revealed the driver was under the influence of alcohol. The individual failed to identify herself and resisted arrest. She was transported to St. Vincent Hospital where a chemical test revealed she had a BAC of .22%. She was arrested and taken to the Gibson County Jail. Pike County – Friday night, February 8, at approximately 8:45, Trooper Manning stopped Carlos X. Rosario Vazquez, 21, of Washington, for driving while suspended on I-69. Marijuana was located during the traffic stop. Further investigation revealed Rosario Vazquez exhibited signs of impairment. A chemical test was conducted and he tested positive for marijuana. He was arrested and taken to the Gibson County Jail. Pike County – Friday night, February 8, at approximately 11:17, Trooper Boeckman stopped Spencer Walker, 45, of Monroe City, for failing to signal near Main Street and 9th Street in Petersburg. Further investigation revealed Walker had a BAC of .21%. He was arrested and taken to the Pike County Jail. 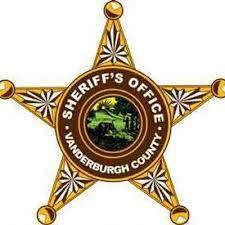 Pike County – Early Saturday morning, February 9, at approximately 4:30, Trooper Hunter Manning stopped a vehicle on I-69 near the 51 mm for a headlight violation. During the traffic stop marijuana was located. Further investigation revealed the driver, Tracy Spicuzza, 47, of Greenwood, had been smoking marijuana. A chemical test was later conducted and she tested positive for marijuana. She was arrested and taken to the Pike County Jail. All criminal defendants are to be presumed innocent until, and unless proven guilty beyond a reasonable doubt in a court of law.